My favorite thing to use my Silhouette for is college "class of" onesies using the t-shirt vinyl! Of course my favorite one to make is Clemson (big shocker)! But I have recently made some with other colleges for people at work having babies. And the one I am the most proud of making - Georgia Tech. This is the hardest one I have had to figure out since the design is much more complicated than a paw or school letters. I set the Silhouette cutting speed really low for this one. Kudos to the hubby for helping me figure out how to get Ga Tech to come out just perfect! I also did a Brown University one that just said BROWN in their official font because the bear wasn't really a good option. But I didn't take a picture of that one... sorry! Check out these posts for more heat transfer onesies. interested in helping me make a u of m one?? let us know if you decide to sell them! I'm Clemson and my hubby is University of Michigan and we'd definitely be interested in buying both! I'd love one if you're going to sell also! 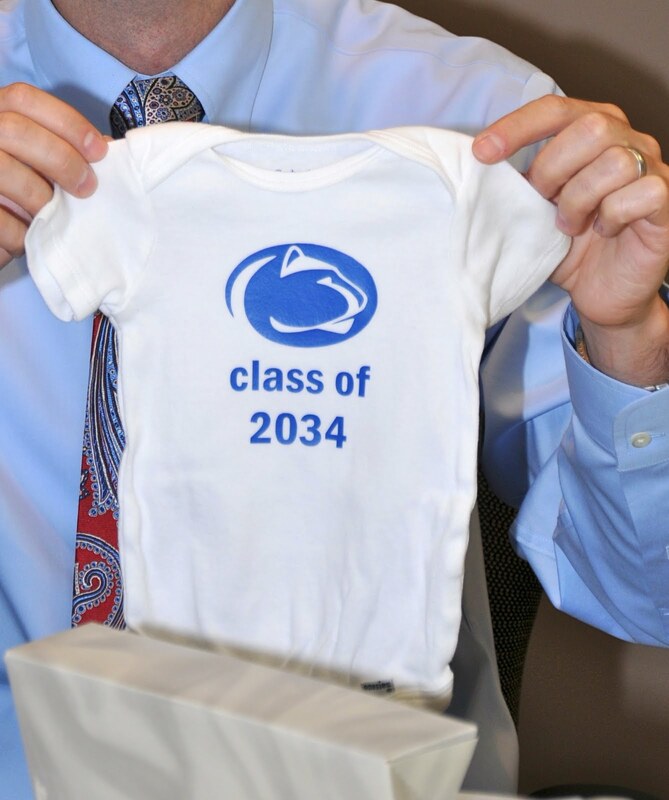 We named our baby after our college so this would be too cute! I LOVE THESE. Such a great idea! So cute!! My daughter is out of the onesie stage, but I'll definitely keep this in mind for #2. These are awesome! I'll definitely have to keep this idea in mind for the next person I know that's expecting. Thanks for the inspiration!